Have you ever wanted to leave the city for a life in the countryside and wake up in the early hours of the morning to become a farmer? Well this is your chance to be a virtual farmer and not have to wake up at 4am every morning. 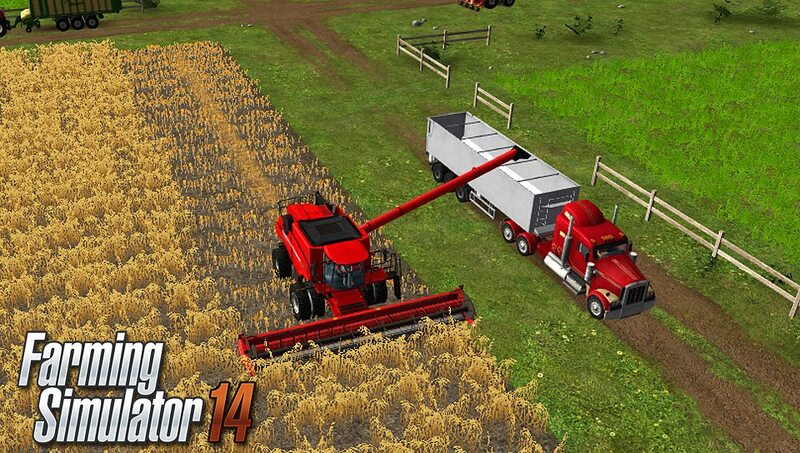 Farming Simulator 14 is Developed by Giants Software and published by Focus Home Interactive. It is available on almost every platform you can think of including PS Vita, 3DS, iPhone, iPod and Android. In this game you will grow crops and harvest them, breed various livestock and sell your assets created from farming to enable you to buy better tractors and other equipment and build up a successful farm. It sounds pretty easy doesn’t it? Well let’s find out shall we. The first thing you will notice upon starting the game is there is not many options at all. All you have to do is choose either an empty save slot or load an existing saved game. There are three to choose from. Something to note while I am mentioning it is this game does not seem to have any auto-save as far as I could see. You need to remember to manually save by bringing up the menu in game periodically. I would have thought an auto-save would have been a good option. I can only guess they have left this out as you may make a mistake and sell some grain for one price then realise it was a mistake. Although I think making those mistakes would make the simulator much more realistic as that’s what you would do in real life. Once you are in the game itself you will notice the graphics are pretty detailed and don’t look too bad at all. For sound there is some background music and various sound effects as you drive around in your tractor and do various tasks. Not really much more I can say here apart from the background music get repetitive after while and you will soon be accessing the settings to turn it off. 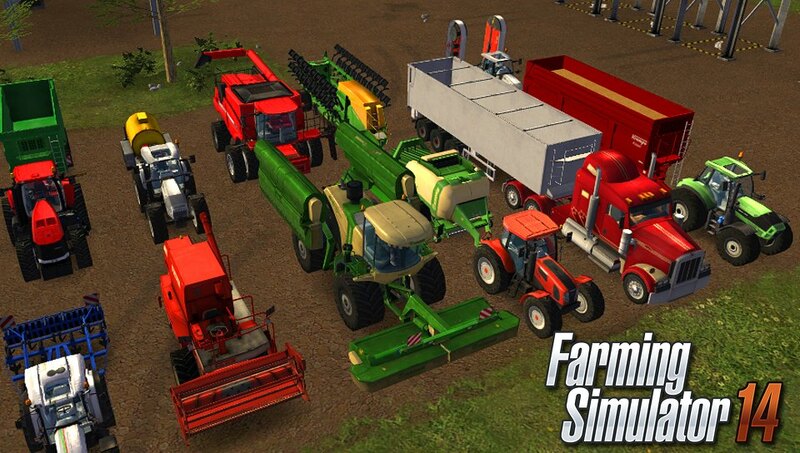 As you prepare to jump into the world of Farming Simulator 14 you soon realise the game has virtually no tutorial. All you get once you start a new game is a quick welcome message, and then you are told that you need to grow crops etc and sell them to make a profit. Errm I think anyone with any inelegance at all would realise that that is how a farm works. After these messages you are left staring at a combine harvester. That’s all you are going to get. There is no more tutorial really, the only way to learn is by trial and error. You do get some hints and tips when you first pick up the various trailers and other farm equipment. However the only real way to get anywhere in this game is to keep coming out of the game and accessing the manual in the Vita’s live area. In the manual you are told a fair bit more and the help is welcome. It would be much easier though to have included this in the actual game as a tutorial as you don’t get a printed manual with your purchase and swapping out to a digital manual is annoying. My only guess is that the developers are assuming you are a farmer or you have played the other Farming Simulator games in the series over the years and are now a farming veteran. This whole scenario spoiled the game for a beginner like myself. I had to resort to YouTube tutorials to get started. Something you should not have to do. To talk a bit more about the gameplay, I hope you are not expecting a fast paced action packed game. Farming Simulator 14 is a slow and pretty boring simulator. Literally all you do is plant seeds and attend to livestock. It is extremely slow paced and I struggled to continue playing. If I was not playing to review this game I could easily see myself putting it down after a few hours. 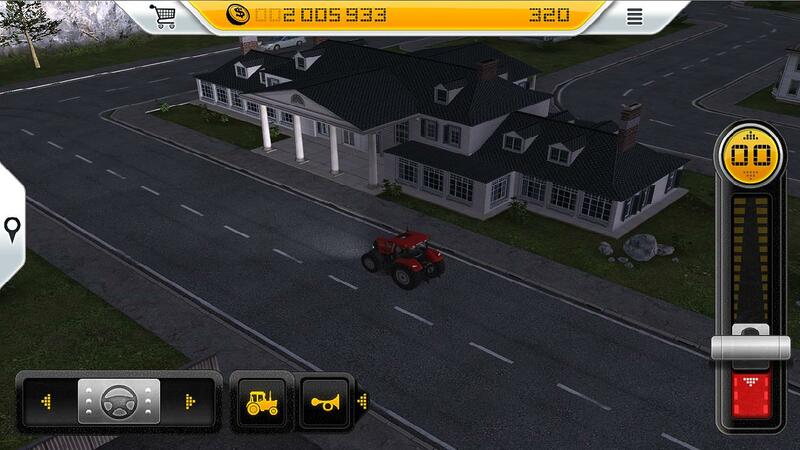 Now I am not a farmer nor do I have any clue about different types of equipment, but as far as I can see one good point about this game is there is a extensive range of authentic farm machines from agricultural manufacturers, including Case IH, Deutz-Fahr, Lamborghini, Kuhn, Amazone and Krone to purchase. You have an in game shop where you can purchase new equipment once you have enough cash. The way to make money is pretty self-explanatory; you grow your crops by ploughing the field. You then plant some seeds and fertilize the field then you harvest your crops for sale. There is an in-game price list for the current price you will get for your various produce. This goes up and down like a mini stock exchange. If you are waiting for the price to raise you can store your crops in a silo and wait for the price to rise then you can sell some stock. You can sell the stock by accessing the mini-map and then driving to selling point marked on the map. The mini map is accessed by touching an arrow on the vitas touch screen. On the map it also marks out various fields that you can purchase once you have enough cash, meaning you can start to build your empire and become a rich farmer. The controls in this game are pretty self-explanatory, all you do pretty much is drive around in a tractor and pick up the various farming equipment that is scattered around the map using your analogue stick and the usual buttons. One thing that I did not find until I was about 2 hours into the game is that you can hire a worker to plough and harvest your field by using the d-pad down. This would have been nice to know at the beginning as controlling a virtual tractor and ploughing a field is very boring. I found this game pretty dull and the novelty soon wares off after a while. The only thing that keeps you going is the urge to make money so you can own the big fancy farming equipment. If you are a real life farmer I can’t see you wanting to pick this game up as I am guessing all you do in this game is what you do for a day job. If you have an interest in farming this may be entertaining for a while, but as I have mentioned it does get boring very quickly. The main thing that completely ruins this game is the lack of any in-game tutorial. The learning curve is very steep; I cannot understand why they did not include one. I will leave the decision up to you. It’s not an awful game, but don’t expect the world’s best virtual farming experience.